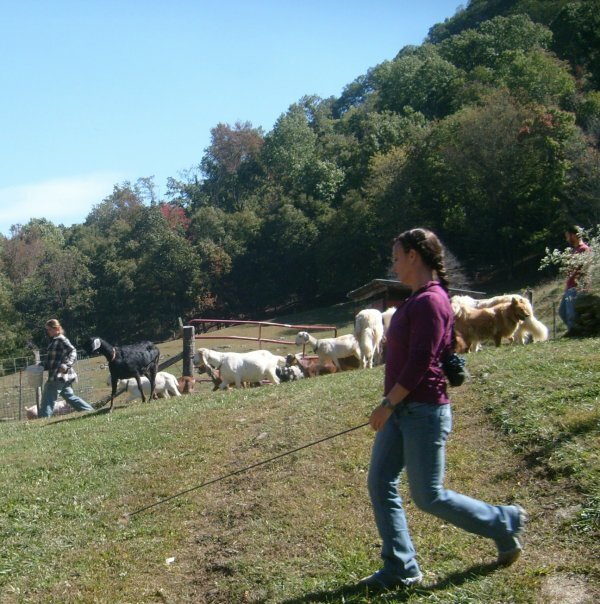 Our Working Farmstay guests help out with all the farm activities. One of the fun adventures is moving the goat herd from one pasture to another. It’s always a challenge to keep them moving in the right direction and out of the flower beds. Flowers are their favorite snack!